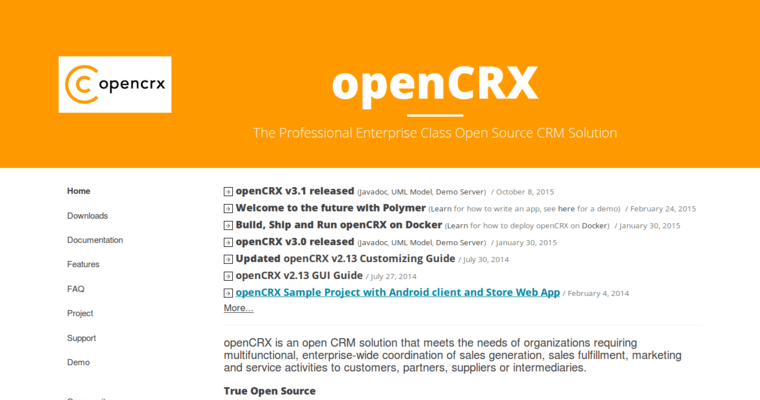 OpenCRX provides CRM solutions in an open source format. CRM stands for customer relationship management. If you need multi-functional software to coordinate leads and sales, and to keep track of customer interactions, this software is for you. All of your sales data can easily be stored and retrieved. Marketing and service activities to partners, customers, suppliers and more can be stored. This software goes a long way towards making your business more efficient. 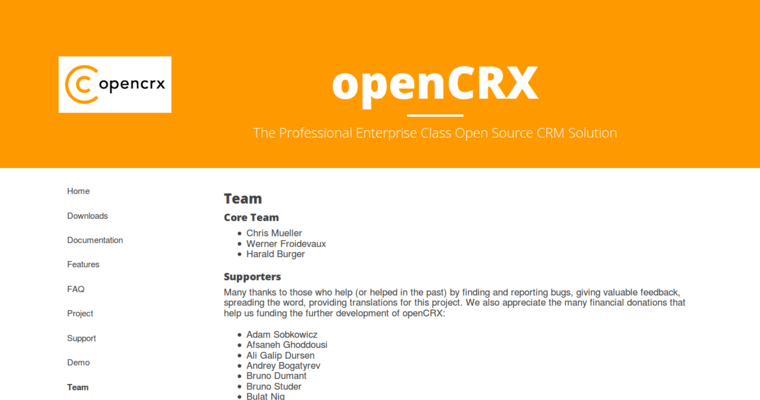 OpenCRX software integrates well with any existing databases and programs you are likely using. It can help you to pool all of your different systems into one convenient location. 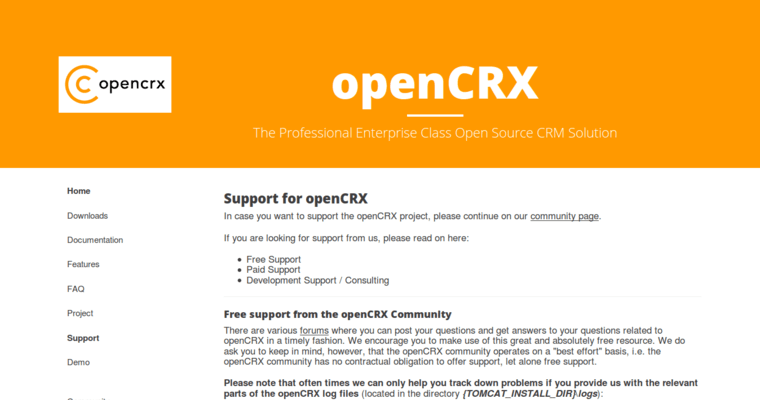 This open source software is easy to configure and can be adjusted and customized for a variety of uses. It can even grow with you and be upgraded as your company grows. If you're looking to increase efficiency, this is one of the easiest ways to do so.